Paulist Fr. René I. Constanza is rector of the Cathedral of St. Andrew in Grand Rapids, MI, and director of the Catholic Information Center in that city. He also is one of the Paulist Fathers' associate vocation directors. 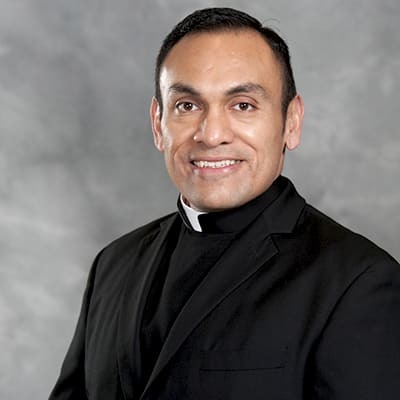 He previously served as associate pastor of St. Austin Church in Austin, TX. Fr. René was ordained on May 19, 2012, at the Church of St. Paul the Apostle in New York City. 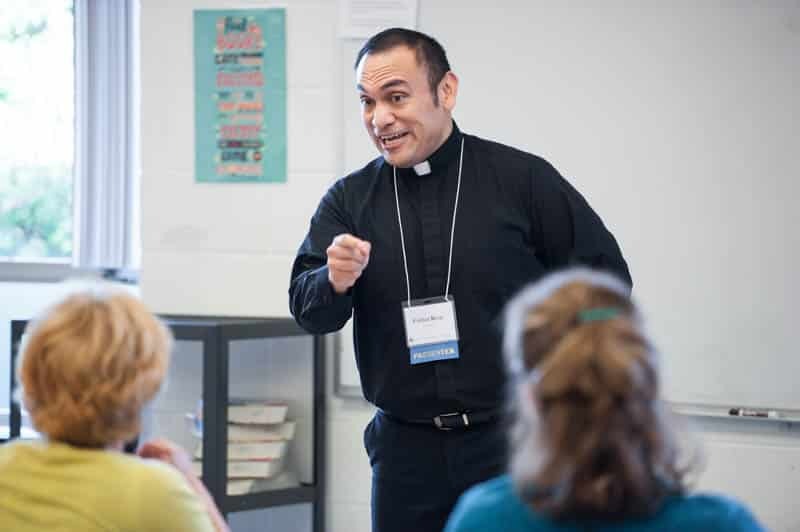 A native of Belize, he was a high school principal before entering our novitiate. To reach Fr. René, please call (616) 459-7267, ext. 1802, or email him. Fr. René speaking at a workshop in the Diocese of Grand Rapids, MI.